RV-14 engine options - are there options? I am planning my RV project and am wondering if the Lycoming IO-390 is the only engine option for the RV-14. I've heard the prop governor has to be on the front side of the engine to fit into the cowling. So most IO-360s don't fit. Has anyone built an RV-14 with a different engine? Are there other engines at all that do fit quite well? Has someone used an IO-390 clone? Which one? How much is it? I am asking because it feels like I am missing something. It's like: "Choose your engine! You have one option: Lycoming IO-390"
The factory RV-14 (taildragger) was built with an angle valve IO-360 - I think the specific version had the right configuration to fit well but not all do. 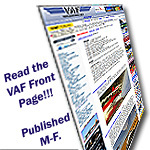 This topic has been discussed in previous threads (http://www.vansairforce.com/communit...ad.php?t=98748, http://www.vansairforce.com/communit...d.php?t=151788 for example). There are fit considerations (forward prop governor) and weight considerations (weight and balance designed for the heavier weight of angle valve engine). Weight is a biggie: if you "save" weight by getting a lighter engine of equal power, then you have a relatively "aft" CG. CG tends to move aft as fuel is burned so this may limit your real world useful load and/or range. I guess the big question for me is what's wrong with the IO-390? Cirrus chose this engine for the SR-20, it's been well-liked by RV-14 owners so far. So why not? (There's a Thunderbolt IO-390 sitting in my garage right now so I'm biased). Not sure about clones - I'm sure there are some out there but to me going with an established brand with ongoing parts/support was a no-brainer. For fun I've googled some of the engine makers mentioned on prior threads - many of them aren't around any more. Last edited by mturnerb : 09-01-2018 at 06:28 AM. A couple of folks have used Superior's XP-400. It's spec'd to have 215 hp. I can't comment intelligently on the impact the extra 5 hp could have on the RV-14's airframe design. As already mentioned, the RV-14 was designed to use either the Lyc IO-390 or the angle valve IO-360. The very complete kits are set up for these motors so any change from these options can result in other required modifications, changes to inventories, or going off-plans. Several parts of the kit have equipment decisions already built into the project. See other threads on wiring, avionics, lighting, etc. Many builders (including me) are fine with this but you need to consider how changes might affect the timeline of your ultimate goal...getting airborne. Yes you have choices. In fact Van has built a couple 14s with the Lyc IO360. And yes for the A nose wheel model you MUST have the not so common front governer. So I did this in stead of buying the IO390. I do not recommend this choice! While I exceeded the 210 hp with proven mods the time was not worth the work. Just buy the IO390. I am guessing the resale will be a hit when the time comes! By the way, there is no wt or size change between the two engines and the fire wall forward kit will serve both engines without a hitch!